The streaming music space is getting awfully crowded these days, what with iTunes Radio set to tussle with Pandora, and a growing number of subscription music services flooding the market. Slacker Radio is doing its best to stand out with an updated iOS app, released on Wednesday, that reboots the user experience and adds a cool new My Vibe feature. A big idea behind the latest update is, as new Chief Product Officer John Hayase told me during a recent hands-on demo, to get people listening to music more quickly, with fewer taps. The new version does that with a large, scrolling tile at the top with new music, an album and artist of the week, and other timely and/or curated content that you can jump right into. As catalogs become pretty even among the different services, finding ways to showcase that content and have you spend less time blindly searching for it is what will differentiate one from another. Beneath that are two sections for Stations and My Vibe. Stations lets you drill down into the hundreds of human-curated and DJed music, news, sports, and weather, and comedy stations that Slacker offers. 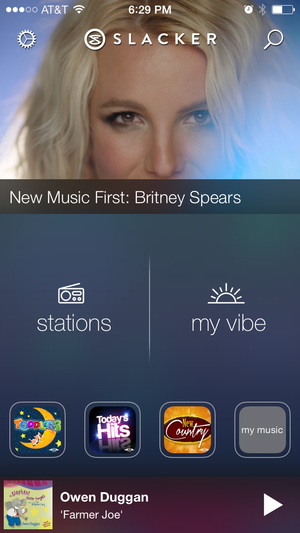 The new My Vibe section is Slacker’s answer to the mood-based listening other services offer. 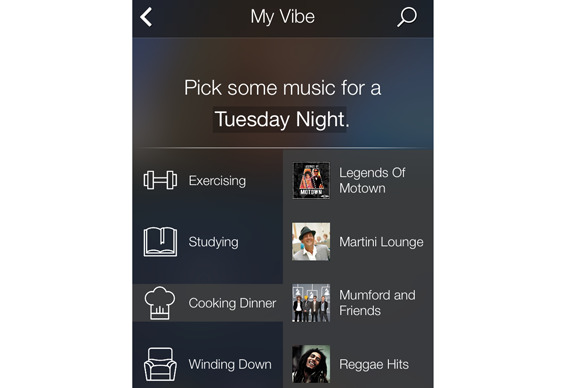 By default, it uses the current day and time to suggest various activities and then curated playlists to go along with them. Winding down on a Tuesday night? Try Indie Chill or Sinatra And Friends stations. Having brunch on Sunday? Smooth Jazz (non-vocal) or Parisian Electro may be your bag. The new app for iOS 7 comes a mere seven months after Slacker’s last interface overhaul, although this one is targeted squarely at mobile (an Android update is coming soon). 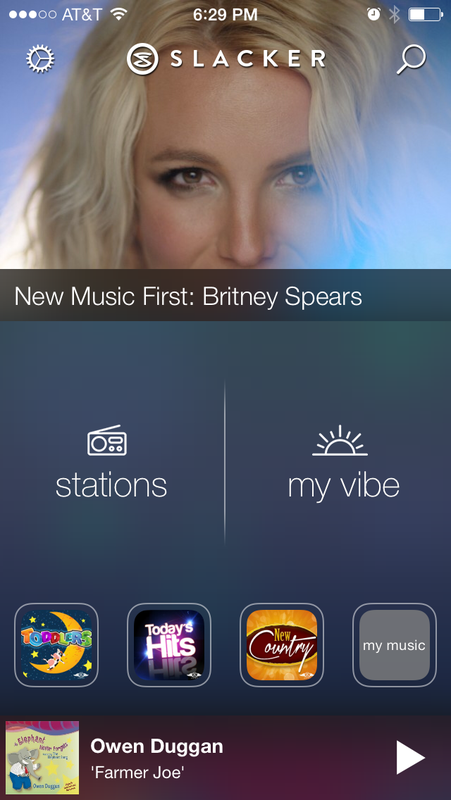 And that makes sense given that Slacker says 80 percent of its users listen on smartphones and tablets.